I had really been looking forward to my interview with Trivinia Barber! I had met her years ago when I attended one of Amy Porterfield’s events and she was working as Amy’s virtual assistant. Then after she launched Priority VA, we had gotten to know each other better at events and in coaching programs together! First, let me tell you one of the things I love most about Trivinia, and why I think I always felt like we just “got each other.” Trivinia is one of the absolute most authentic, “what you see is what you get” people you will find. She’s real. She’s funny. And she is responsible for a WHOLE BUNCH of VA’s (and ensuring that their families have food on their table). One of my least favorite parts of being a business owner is the responsibility of staff. When I was running the studios, August and December were always the slowest – and had the least income. Imagine being responsible for 30 women and their families – ensuring that you bring in enough income to pay all the bills and that the team gets paid! It’s a lot of pressure sometimes – especially when you’re first starting out! Trivinia is the founder of Priority VA – a boutique staffing firm that pairs virtual assistants with successful businesses. 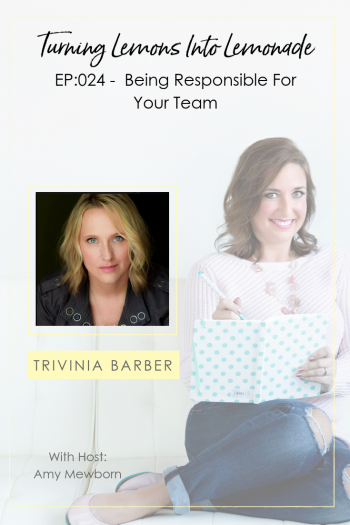 She prides herself in being great at matching teams, and their company SPECIALIZES in providing ongoing training to their virtual assistants to ensure that they are staying up to date on the most current marketing and business strategies! These are highly skilled assistants who become integral team members. Priority VA is boutique Virtual Assistant Agency that matches elite level entrepreneurs like Todd Herman and Ray Edwards with highly skilled assistants who “get” the online space and come prepared to deliver massive ROI right out of the gate.